Kobe is located on the south side of the main island of Honshu and it is the six-largest city in Japan. The local port, harbour, fascinating structures and natural surroundings is what really draws the tourists in. Visitors are able to experience all the comforts of a prominent city as well as green getaways and nature experiences. When choosing where to stay in Kobe, and finding the best hotel accommodation in Kobe, Japan you should really take into account that you probably won’t be spending too much time in your hotel room with so much fun and adventure waiting for you! When visiting or living in a busy city like Kobe, there is no better way to enjoy a balance than by enjoying nature along with the views of the concrete jungle. To allow residents and guests a great escape, the city has a number of parks, gardens and green spaces for everyone to relax. 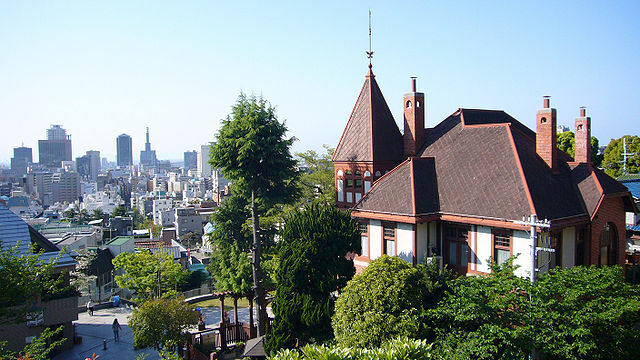 Top choices include the Kobe Nunobiki Herb Garden & Ropeway, Meriken Park, the Kobe Botanical Garden and a trip to the Nunobiki Falls or to Mt Maya. The Kobe City Oji Zoo is a playground and an educational experience all rolled into one. Take the whole family out for the day, enjoy looking at the animals and let the kids play. A visit to the Kobe City Suma Marine Aquarium is also great for the whole family especially if the weather isn’t particularly pleasant for some reason. There’s nothing more fascinating than enjoying an aerial view of the city you are visiting. There are two observation decks open to visitors in Kobe. The Kobe City Hall (Observation Deck) and Kobe Port Tower are both spectacular. During the day, you can spot certain buildings and landmarks below while, at night, the city lights are an amazing sight. There are also a number of interesting museums in Kobe. The Kawasaki World museum, the Hakutsuru Sake Brewery Museum, the Kobe City Museum and the Kobe City Koiso Memorial Museum of Art are just a few of the top choices. Each of which has something very special to offer and visitors can decide which one(s) to visit based on their personal interests. Other interesting sights to visit include the Venus Bridge, the Disaster Reduction and Human Renovation Institution and old neighbourhoods like Kitano-cho, Kobe Harborland and Chinatown (Nankinmachi).